Security camera systems in Doncaster provide a very powerful form of privacy and security control; deterring potential thieves or providing commercial properties with a useful tool to help with potential cases of theft or vandalism. Located in Doncaster, Flarepath have the experience and tools needed to quickly install, repair or upgrade an existing security system. We are also available to provide advice on what systems would suit your needs or what features might give you the flexibility you want. Some of the latest advances in CCTV hardware allow you to catch perpetrators that otherwise thought themselves rather sneaky with, for instance, an easily concealed camera. Or even modern colour cameras with 360-degree vision that can keep a careful watch on a large section of your property or business. Hardware is not the only part of the CCTV industry to have improved, the software and features that are now available can give anyone a great sense of comfort and ease; Instead of having to manually check through hours of footage, special software suites can trigger checkpoints on specific criteria such as doors opening or movement, allowing you to quickly run through particular events. You can also opt to have software that sends out email or SMS alerts or even provide remote access from your phone, letting you keep an eye on things even when you’re not present. Whatever your CCTV system needs for your Doncaster properties, Flarepath can help. For some quick, expert advice, just give us a call or e-mail and we’ll do our best to get back to you as soon as possible. It’s no longer necessary to have cables running around the interior and exterior walls when you have CCTV installed. Flarepath have been providing discreet and tidy wireless CCTV in Doncaster for many years. The technology is now very reliable. As well as being a wireless installation, CCTV systems can now be accessed remotely via smart phones and on the internet. Imagine the peace of mind you would have, if you could check on your home or business at times when you were not able to be there in person. The latest CCTV systems can even be set to send alerts when unusual events happen on screen, so that constant personal monitoring is not required. A simple SMS or email message can tell you when to check the system. 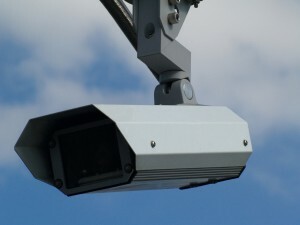 Doncaster Council has a number of CCTV cameras in the Borough, which are used to view and monitor activity in public spaces. To prevent criminal activity within the borough of Doncaster. To work in partnership with the Police in providing a quick response to criminal and anti social activity. To provide evidence to assist in the detection and prosecution of perpetrators of criminal activity. To promote an environment that is safe for all members of society who live, work or visit the borough. To promote and facilitate an active partnership in the discouragement of crime, between the police, the Council, the business community and the residents and visitors to the area. To assist in traffic management and enforcement. To provide assistance in the event of a civil emergency or disaster. The scheme is not to be used to invade the privacy of any individual in residential, business, or other private premises, buildings or land. We have made every effort in the planning and design of the CCTV system to give it maximum effectiveness. The scheme makes specific arrangements for the provision of recordings for evidential purposes to the police.